Earlier. A terrifying hostage situation has put Mali on high alert. Early Friday morning, gunmen stormed the Radisson Blu hotel in the capital city of Bamako, taking hostage 140 guests and 30 staffers, the hotel company confirmed. The luxury hotel, located west of the city's center, largely caters an international crowd, which includes ex-pats, traveling businessmen, and tourists. The hotel attack comes just one week after terrorists affiliated with ISIS launched a series of assaults in Paris, killing 129 people and injuring another 352. Whether the Bamako and Paris attacks are connected remains to be seen — Mali itself has been terrorized by al Qaeda groups, not ISIS — but it is worth pointing out the long history between the two countries. In the late 19th century, Mali was turned into a French colony and was known as French Sudan under the European country's control. It gained its independence in 1960 and was subsequently named Mali in September that year. In the decades since, France and Mali have been indelibly tied, both through military operations and tourism. In 2013, France aided Mali in putting down rebel activities in the north, where militant groups, including those with ties to al Qaeda, had taken control. The campaign was successful, pushing Islamist fighters out of busy cities and into the desert. France continues to retain 3,000 soldiers in the sub-Saharan area, including in Mali. The hotel attack comes one day after French President Francois Hollande directly mentioned France's involvement in Mali as evidence for the country's persistence against terrorism. "France is leading this war with its armed forced, its soldiers, its courage," Hollande said. "It must carry out this war with its allies, its partners giving us all the means available, as we did in Mali, as we are going to continue in Iraq, as we'll continue in Syria." The Radisson hotel itself has long been a popular destination for the French and other foreigners, making it an attractive target for terrorists. According to The Daily Mail, Air France crews were frequent guests of the hotel. According to MINUSMA, the U.N. mission to Mali, there was a diplomatic delegation also staying at the hotel. 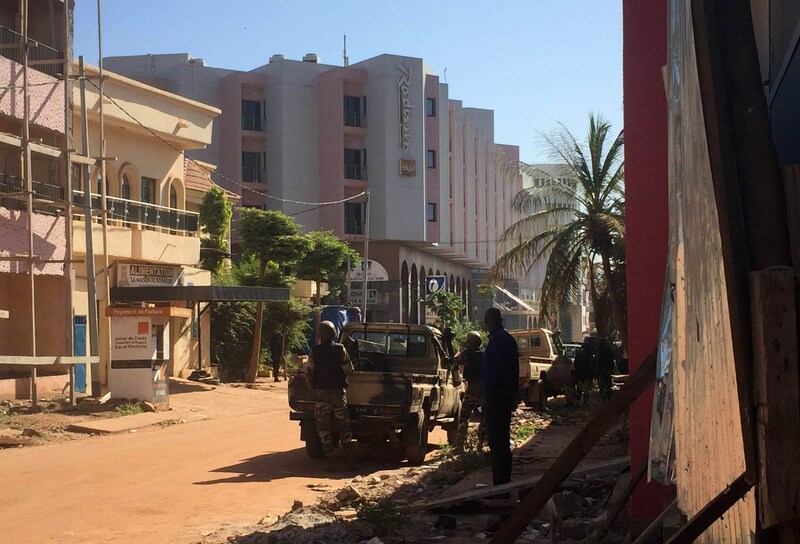 A U.N. official told CNN that two Malian citizens and one French national died in the hotel siege. Whether or not Bamako and Paris were carried out by the same group, the two cities represent an increasing wave of terrorist activities across the world. Terrorism is not isolated to the Middle East, and it is time for the world to come together and put an end to these horrific plans.